In ‘Casanova Cat’ Tom is visitingToodles, who has inherited a million dollars and who now lives in a classy apartment downtown. 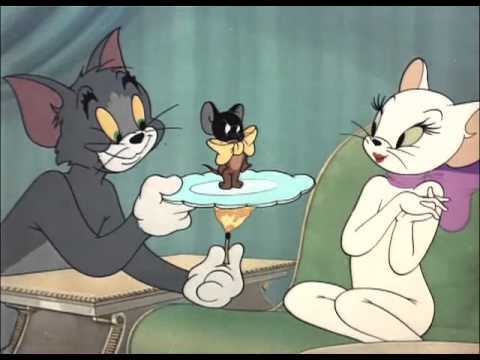 Tom brings Jerry along as a present, who is forced to dance with a blackface on a hot plate, a scene which is probably censored on many copies. The annoyed Jerry invites alley cat Meathead, too, and a feud starts between the two rivaling cats. However, in the end it’s Jerry who’s the lucky one, driving off with Toodles into the distance and kissing her. ‘Casanova Cat’ doesn’t cover any new grounds, but it combines the themes of earlier romance cartoons ‘Puss ‘n’ Toots’ (1942) and ‘Springtime for Thomas’ (1946) with great and remarkably fresh results.